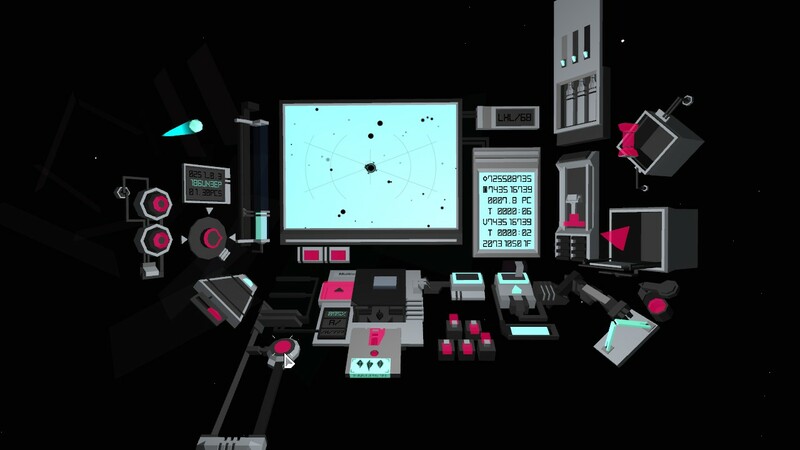 MirrorMoon EP is a game steeped in mystery. You traipse across the galaxy, investigating planets and naming them, but to what end? For what purpose? The austere landscape and abstract design obfuscate any sense of clarity, leaving you to wander aimlessly in search of reason for all this. 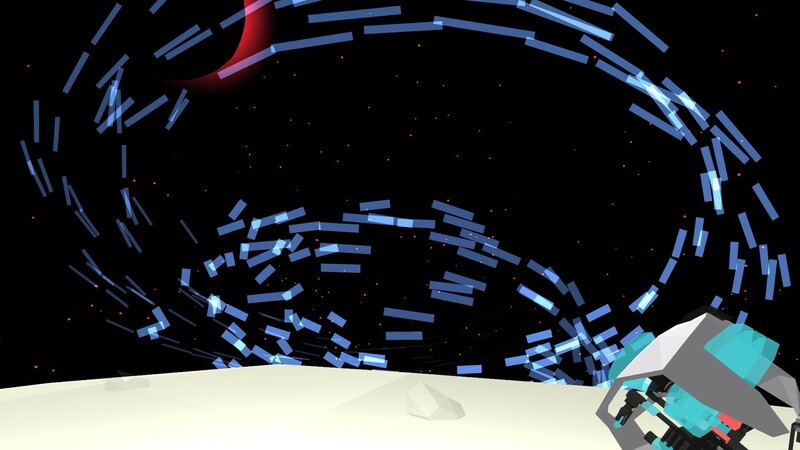 But even if you don’t discover the answers, you’re still sure to find an enjoyable, unusual experience in MirrorMoon EP. You take control of a ship named the Boatswain and traverse the galaxy exploring its many stars. It begins by dropping you onto a red planet, introducing you to its mechanics and concepts. Upon completion, you discover an “anomaly,” which prompts you to search the galaxy for said anomaly to solve the mystery of the red planet. A quick and simple tale – one MirrorMoon doesn’t dwell on past its introductory level. From then on, it’s all about pure exploration. From the Boatswain, you choose one of many stars to land on. The ship’s screen is almost completely overtaken by them, often overlapping with one another. Figuring out how to control the craft takes time, as none of the cockpit’s functions are explained, let alone labeled. A few minutes of futzing around gets you familiar with it, though, everything clicking instantly once you understand the basics. The only hard part, then, is waiting to arrive at your destination, as travel occurs in real time. Transit to a star on the other side of the galaxy, for example, could take upwards of 15 minutes, less if you’re willing to use more of your ship’s energy. It’s not a finite resource, luckily, its availability only affecting how often you can zoom across space in an instant. Once you’ve arrived, it’s down to business. The gist is you move about the planet’s surface picking up components for your vaguely gun-like tool that allow you to drop beacons, rotate the planet’s moon around or outright move it. Moons reflect the globe’s layout (hence the name “MirrorMoon”), thus acting as a map. Waypoints can either be shot onto the moon or in front of you, their placement reflected on the sphere above. The goal is to find structures lain about the area and activate them, thus unlocking the exit. Then it’s onto the next planet to repeat the process. Swirling vortexes of light and other such oddities make each planet you come across unique. Some stars are named, others not. Names indicate they’ve already been discovered by fellow space travelers (so long as you’re playing online), meaning their puzzle has already been solved. You can still explore them for sightseeing, of course – auroras and showers of light dazzle, the glare of the sun a brilliant sight as it peaks over the tip of the moon’s eclipse – but otherwise there’s little to do be done. Generally, you want to focus on finding undisturbed worlds to help identify the planet you’re searching for. Since you’re working with hundreds upon thousands of players, it’s in your best interests to attempt cooperation with your fellow space voyagers. Through process of elimination you can get closer to tracking down the anomaly, every new locale another possibility removed. But even then, the actual act of reaching the end remains difficult. Unless someone outright names the place something obvious, you’re going to be at it for a while. The only lead you receive is a circled star that appears on certain planets. You only see it from the surface of the many space rocks, leaving you at a loss as to how to identify it. Consistent naming conventions help, as they outline constellations on observatories, giving you at least a sense of where the star lay amongst its brethren. But translating what you see on the ground and on your map is far from easy. Connecting with other players is your best bet, unless you prefer to take things solo and thus decided not to play online in the first place. In which case, it’s just a matter of time. As such, MirrorMoon is a game best played in bursts. The monotony of travel coupled with the short-term nature of actual play quickly test your patience, especially as undiscovered planets become scarce. By no means is this bad thing; merely an acknowledgement of where MirrorMoon’s strengths lie. The sense of sense of wonder at arriving on untouched land is what drives it. The game’s at its best when you’re covering new ground, the thrills of being the first to touchdown pushing you to continue traipsing about the cosmos. Even if you never actually finish the game, the sheer act of exploring is more than enough to keep you engaged. 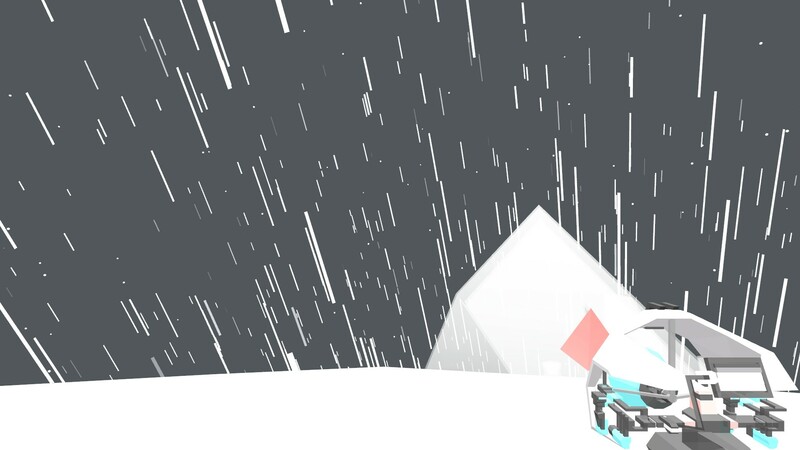 It’s simple pleasures are a fun break from the stress and bombast of most other games. Hopping on the Boatswain and drifting about the stars, the game’s haunting, lonely melodies washing over you, is a fine way to unwind. MirrorMoon EP’s abstract nature may leave you scratching your head for a while, but once it all clicks, it’s easy to lose yourself in its majesty.